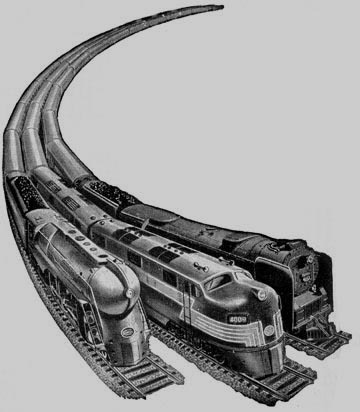 The Pulp Magazine Project – The Railroad Man’s Magazine. Operating Data NYC Western District. Metro North – Yonkers to Tarrytown, NY – Old NYC signal bridges and old passenger foot bridges still standing even if they haven’t been used in years. Railroading in the East 1897 – 1906 This video contains shots of Empire State Express, West Shore and U&D coverage. It also shows early track pans in use. Historic movies. This entry was posted in Members Information, Research Information. Bookmark the permalink.